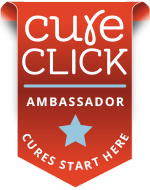 The following announcement comes from the National MS Society (USA). Summary: Recent reports are calling attention to the idea that a phenomenon called CCSVI, a reported abnormality in blood drainage from the brain and spinal cord, may contribute to nervous system damage in MS. This hypothesis has been put forth by Dr. Paulo Zamboni from the University of Ferrara in Italy. Based on the results of his initial preliminary findings, Dr. Zamboni states that this pilot study warrants a subsequent larger and better controlled study to definitively evaluate the possible impact of CCSVI on the disease process in MS. It has been proposed by Dr. Zamboni, but not yet proven, that CCSVI may be corrected through endovascular surgery, which involves inserting a tiny balloon or stent into blocked veins in order to permit the flow of blood out of the brain and spinal cord, a procedure that has been called “liberation therapy” in some reports. UPDATE: The National MS Society is undertaking the funding of new research on CCSVI in MS and has invited investigators worldwide to apply for grants that would explore this lead. In response to a January 6 deadline, the National MS Society and the MS Society of Canada received numerous letters of intent from investigators from seven countries. These letters of intent, which briefly describe the proposed research, will be reviewed and those that meet grant guidelines will be invited to submit full research proposals. January 12, 2010 – Investigators whose letter of intent meet guidelines are invited to submit full research proposals with a deadline of February 9, 2010. May 2010 – International panel of experts conducts an expedited review of all applications received through this special request for applications. June 2010 – Funding decisions announced. July 1, 2010 – Anticipated start date for funding of any successful research applications. The applications will undergo an accelerated review process by an international panel being convened in cooperation with other MS Societies to ensure an expedited, coordinated response. If this hypothesis is confirmed, it may open up new research avenues into the underlying pathology of MS and new treatment approaches to therapy. Background: In a recent study by Dr. Zamboni and colleagues, the team evaluated abnormalities of blood outflow in major veins draining from the brain and spinal cord to the heart in 65 people with different types of MS, compared with 235 people who were either healthy or who had other neurological disorders. They used sophisticated sonography techniques to detect abnormalities of venous drainage. The investigators reported evidence of slowed and obstructed drainage in the veins draining the brain and spinal cord in many of those with MS. They also found evidence of the opening of “substitute circles” – where the flow is deviated to smaller vessels to bypass obstructions, and these were often found to have reverse flow (reflux) of blood back into the brain. The investigators call this venous obstruction “chronic cerebrospinal venous insufficiency,” or CCSVI. The treatment status of the people with MS (i.e., whether or not they were on an MS disease modifying drug) did not appear to influence whether they showed signs of CCSVI. The authors speculated that the reverse flow of blood back into the brain might set off the inflammation and immune-mediated damage that has been well described in MS. This study was published in June 2009 (J Neurol Neurosurg Psychiatry 2009; 80:392-399). It is proposed, but not yet proven, that CCSVI may be corrected through endovascular surgery. This surgery is being called “liberation therapy” in some reports. One study getting underway was described at the 2009 ECTRIMS meeting in September. It involves a collaboration between researchers in Italy, Buffalo (NY) and Birmingham (AL) who are attempting to treat venous obstruction in 16 individuals using balloon dilation such as has been used for many years to treat blocked arteries. In a small, open-label study by Dr. Zamboni and colleagues published in December, the team evaluated the safety and preliminary outcomes of vascular surgery (percutaneous transluminal angioplasty) in 35 individuals with relapsing-remitting MS, 20 with secondary-progressive MS, and 10 with primary-progressive MS. (J Vasc Surg 2009; 50:1348-1358) They reported some positive impacts and suggested that controlled trials were necessary to better determine potential safety and benefits of this procedure. According to the Buffalo Neuroimaging Analysis Center, although 500 subjects have already been selected for their initial combined transcranial and extracranial venous doppler evaluation study, they are still seeking participants for a larger-scale clinical study with the aim of evaluating the prevalence of venous obstruction in people with MS. This study does not involve treatment of obstructions. To get the quickest answers and most reliable results about benefits and risks of any surgical procedure that might attempt to address blood flow in or out of the brain, it is crucial that such surgery be performed only as part of controlled trials, especially since there have been anecdotal reports of surgical attempts to treat CCSVI in people with MS resulting in adverse events, including one reported death. Many questions remain about how and when this phenomenon might play a role in nervous system damage seen in MS, and at the present time there is insufficient evidence to prove that this phenomenon is the cause of MS.
Q: What is the National MS Society’s view of CCSVI? A: In trying to find the cause and more effective treatments for a disease as complex and unpredictable as multiple sclerosis, the Society is steadfast in its commitment to pursue all promising avenues of research that can lead to improved treatments and ultimately, a cure. It is important for researchers to think outside the box and we believe Dr. Zamboni has done this. His hypothesis is a path that must be more fully explored and Dr. Zamboni himself has stated that additional research is essential to evaluate it. Q: Will the National MS Society fund research into CCSVI in MS? A: The National MS Society is pursuing follow-up research in how CCSVI might be involved in the MS process and we have invited investigators from around the world whose research is relevant to MS to submit proposals to apply for grants that would explore this lead. These applications will undergo an accelerated review process. Q: Do the reports of a possible association between insufficient vein drainage and MS mean that MS is caused by venous insufficiency? A: No. Based on results published about these findings to date, there is not enough evidence to say that obstruction of veins causes MS, or to determine when this obstruction may occur in the course of disease. Q: If CCSVI turns out to be important in MS, can it be treated? A: No one knows yet. Surgical procedures for CCSVI in MS are still experimental and should be undertaken only as part of formal clinical trials that include all of the standard safeguards that are followed in such trials. Q: How can I get involved in research on CCSVI in MS? A: A larger-scale clinical study is getting underway in Buffalo, New York and is now recruiting participants nationwide with the aim of evaluating the prevalence of venous obstruction in people with MS. This study does not involve treatment of venous obstructions. 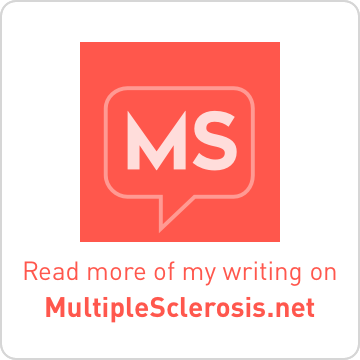 Q: I have MS. Should I be tested for signs of CCSVI? A: We do not recommend testing for signs of CCSVI unless you are involved in a research study exploring this phenomenon, since at this time there is no proven therapy to resolve any abnormalities that might be observed, and it is still not clear whether relieving venous obstructions would be beneficial. 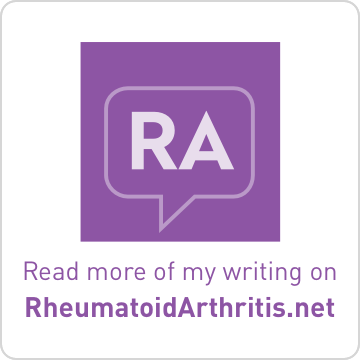 Q: Does CCSVI make the standard treatments of MS meaningless? A: No. 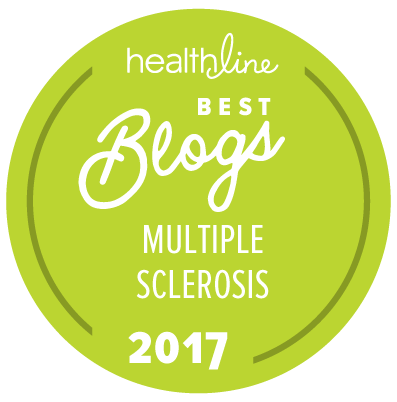 There is ample evidence proving that the FDA-approved therapies for MS provide benefit for people with most forms of MS.
Q. How can I continue to be informed of CCSVI developments as they occur? I wonder how much the grants were? Let's keep our fingers crossed. My early brain trauma could certainly have messed up that area. If you have this condition, what research is being done on treatment? What would be the "standard safeguards" of a formal clinical trial? How many years are we away from potentialuse of this knowledge? I just came across your blog and see that you have interest in CCSVI and have spent time in Bloomington, IN. My sister lives there, and she has M.S. She's been trying to find someone to perform this "liberations" procedure, and has been unable to find anyone closer than Brooklyn, NY. I know it's a long shot, but I was wondering if you happen to have any info about a Dr. near Bloomington, or even Indianapolis who can do this? if not, do you know of someone who might be able to do this?